We have on offer a wide collection of security accessories for various purposes. Extensively used in commercial and offical purposes, our range of security accessories include proximity id cards, card holders, custom lanyards, electromagnetic locks. We also offer customized packaging as per the needs of our customers. Customers can avail from us varied Proximity ID Cards (Thick Type) at affordable prices. Procured from notable vendors of the market, these contain stickers indicating the employee details. Highly used in offices, these are an alternative to Mifare cards (their ID cards) and come with an option to print directly on card using Dye - Sublimation Printer. Note : The Procut price Range Vary from Rs 25 to Rs 150 Per Piece. 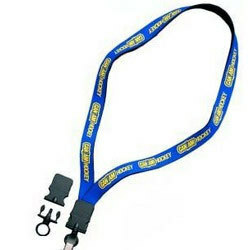 Custom Lanyards that we offer are used to showcase the ID cards promptly. Made using quality material at our vendors' end, these are admired for their long lasting life. In order to keep their quality intact, these are delivered to the clients' end with impervious packaging. Clients can avail these from us in diverse sizes, dimensions, color and material. Note : The Procut price Range Vary from Rs 15 to Rs 100 Per Piece. We are offering our clients with a quality range of electromagnetic locks which are used to secure the gate that shuts on a fixed stop. 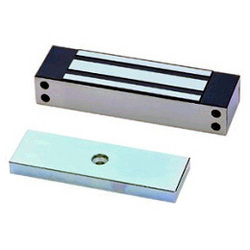 With an armature plate and electro magnet our range of products helps to close and open the door frames as per the access control requirement of the clients. Note : The Procut price Range Vary from Rs 2000 to Rs 3500 Per Piece. We bring forth Card Holders in diverse colors, sizes and types. Appreciated for their reliability and durability, these are used to protect the cards from wear and tear. These card holders are timely delivered at our clients' end with impervious packaging.